With portraits on one side and profiles on the other, these 48 fact-filled Knowledge Cards are a great source of condensed information—all in a deck the size of a pack of playing cards. No other event matches the impact of the American Civil War on the history of the United States. Its effects on both the land and the people were far reaching and long felt, and the implications of its outcome were enormous. 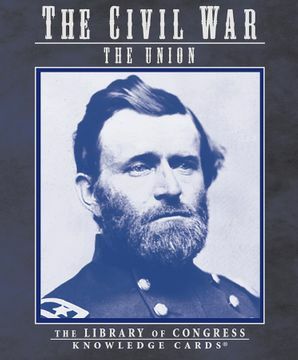 In this deck of Knowledge Cards, the Union cause is examined through forty-eight informative portaits and essays on both well-known and lesser-known participants. Each card features a photograph or engraving on one side with biographical and historical text on the other, offering a fascinating and informative overview. Don’t miss the companion Knowledge Cards deck: The Civil War: The Confederacy, also from the Library of Congress.